Working in the 1930's, Russel Wright imagined a whole new type of animal. Whimsical yet powerful, his figures epitomize the American Industrial Design of the 20th century. 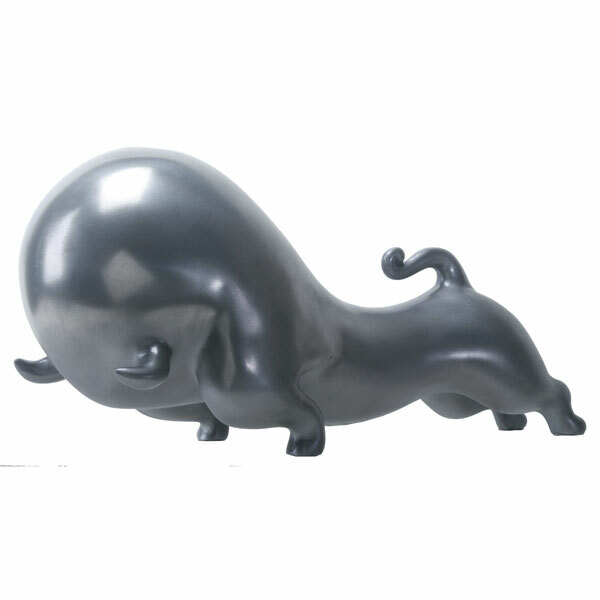 Rodeo is Wright's interpretation of a circus "bull" that might have been seen at a circus or rodeo. The muscular front of the figure are the shoulders and the sleek back of the figure represents the strength of a bull. Resin with the look of hand-cast aluminum. 9½" wide x 4" high x 3½ deep. Allow 2 weeks for delivery. No rush delivery. Item can only be shipped within the Continental US.